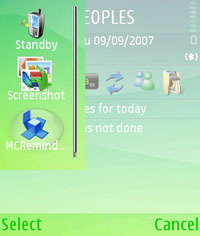 The missed call reminder program for my N80 phone is done. There are still many things missing to make it a "real" application. But at current state, it suits my needs. So I will leave it as-is. Feel free to grab the source and improve it. By default, every 5 minutes, the program checks for missed calls and unread messages. When executed, the program main screen WILL NOT show. As most of the time you don't want to see the program main screen anyway (as there is NOTHING to see!). 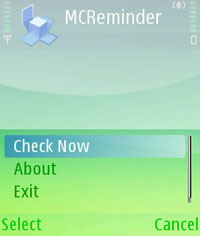 If you want to see the program main screen, you can press and hold the menu key on your phone and select the application. NOT FOR THE FAINT OF HEART. This program is for fun only. Absolutely no guarantee or whatsoever. Use at your own risk. The source + binary + Carbide workspace are available. Feel free to modify the code (and remember send me the improved version :D). And here is the binary installable program.